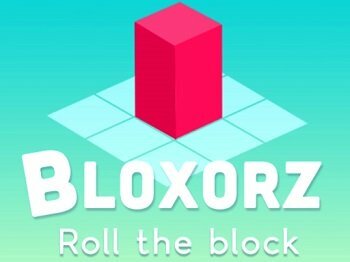 Bloxorz trains logical problem solving and spatial visualization. Get the block to fall into the square hole at the end of each stage. To begin, click the Small, Medium, or Large link or PLAY GAME button or HTML5/Mobile link under the picture at left. This opens the game in a pop-up window. Note: The HTML5/Mobile version works on desktop computers and tablets. It is a similar game by a different game developer. If you like this game, you might also enjoy 3D Logic and Cube Field. Wait for the game to load, then click the "Start New Game" or "Load Stage" button to begin. Turn on your speakers to hear the sound effects. If you get stuck on a stage, send me a message through the Contact Me page. I'll send you the passcode and hint for that level. Bloxorz can be challenging. There are 33 stages to complete. I was able to get to Stage 10 without cheating... see if you can top that! HOW TO PLAY. To move the block around the world, use the left and right arrow keys. Be careful not to fall off the edges. The level restarts if this happens. BRIDGES AND SWITCHES. Bridges and switches are located on many stages. Switches are activated when they are pressed down by the block. You do not need to stay on the switch to keep bridges closed. There are two types of switches. "Heavy" X-shaped ones and "soft" round ones. Soft switches are activated when any part of your block presses it. Hard switches require much more pressure, so your block must be standing on its end to activate it. When activated, each switch may behave differently. Some swap the bridges from open to closed to open each time it is used. Some only make certain bridges open, and activating it again will not make it close. ORANGE TILES. Orange tiles are more fragile than the rest of the land. If your block stands up vertically on an orange tile, the tile will give way and your block will fall. TELEPORTING. There is a third type of switch that is shaped like a parenthesis ( ). This switch teleports your block to different locations, splitting it into two smaller blocks at the same time. The smaller blocks can be controlled individually and will rejoin into a normal block when both are placed next to each other. You can select which small block to use at any time, that is you can switch blocks, by pressing the Spacebar. Small blocks can operate small switches, but they aren't big enough to activate heavy switches. Also, small blocks cannot go through the exit hole. Only a complete block can finish the stage. PASSCODES. Write down the passcode for each stage. It is located in the top right corner. If you leave Bloxorz and come back later, you can start back at the stage where you left off by entering the passcode. Go to "Load Stage" in the Menu, enter your six-digit passcode, and click the "Enter" link. This block-based game can be addictive, so watch out! I've been contacted by quite a few people over the years who've fought their way through all 33 levels. Game distributed by AddictingGames.com. Used with Permission.